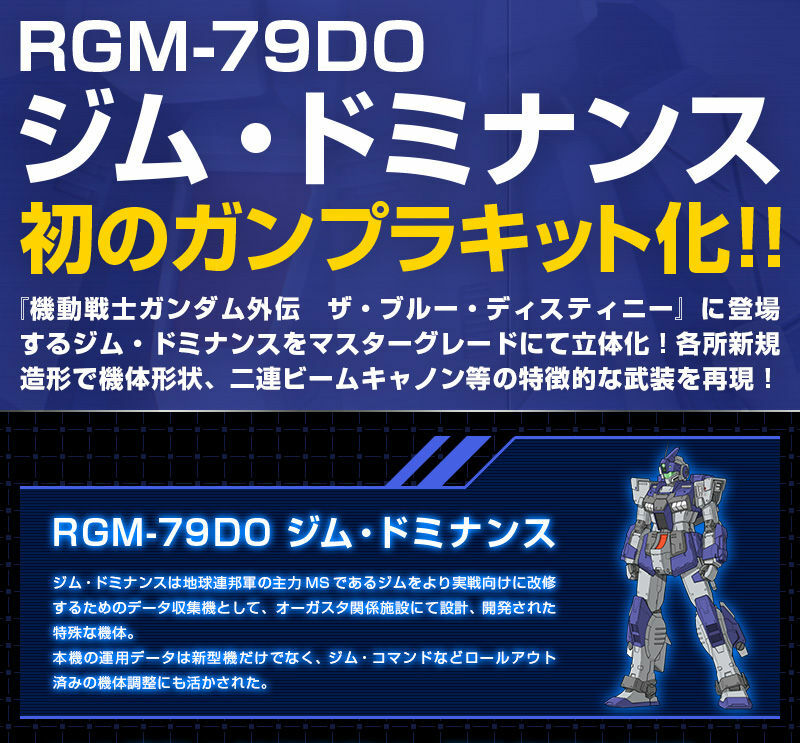 Dominance gm of the guinea pig party - RGM - 79 DO gm Dominance, First Turning Up! 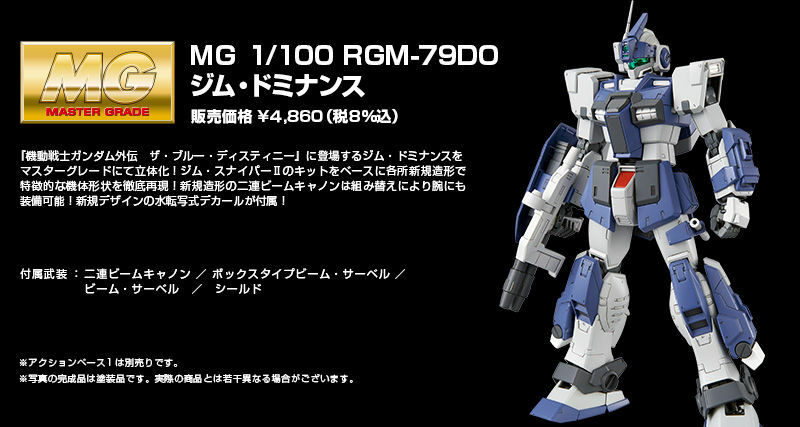 Appeared in "Mobile Suit Gundam Gaiden The Blue Destiny"
Three-dimensional gm Dominance at master grade! Reproduce distinctive weapons such as aircraft shape, double beam cannon and the like in various places! ● MG-compliant new modeling, reproduce the body shape! Features such as head, chest armor, waist, legs, school bags etc. are reproduced thoroughly by new shaping. 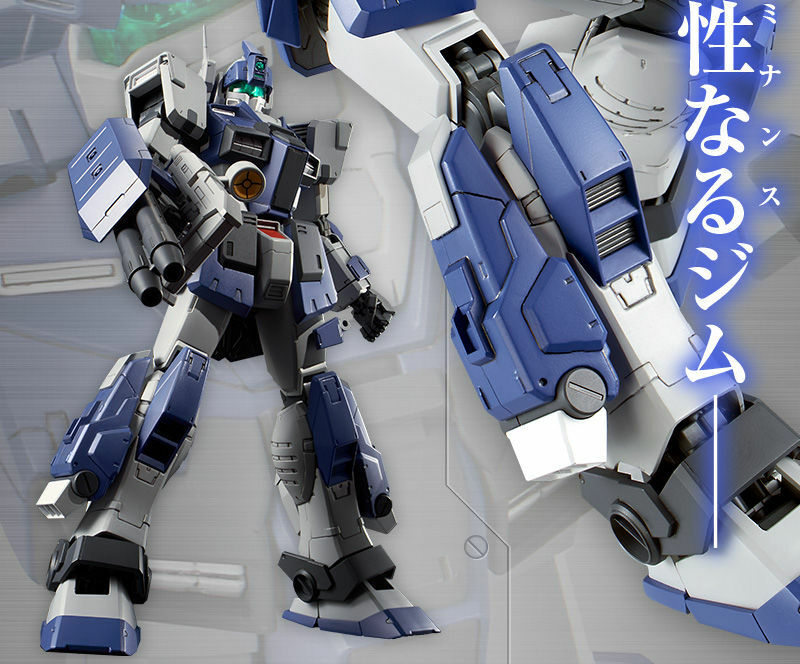 Exterior is reproduced with many new parts such as antenna, visor. 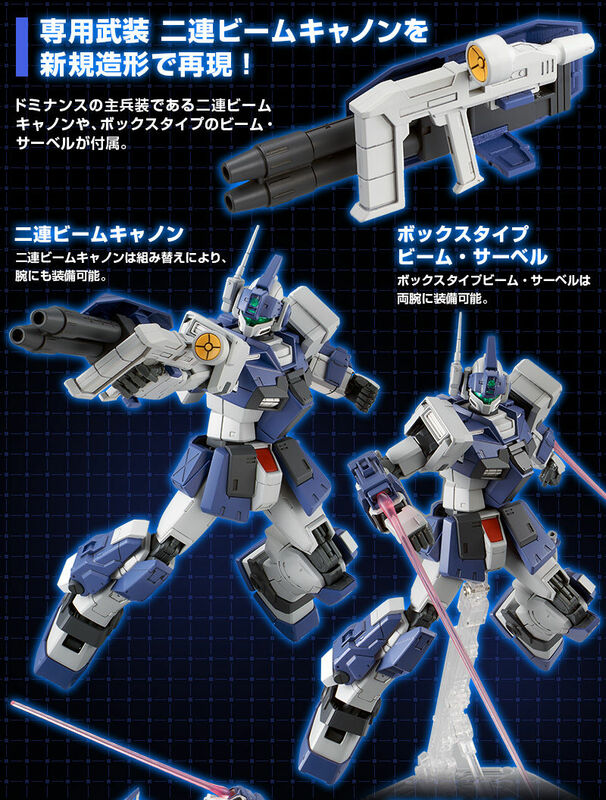 Box type beam-saber of new modeling can be equipped on both arms by recombination. The symbolic chest duct and armor coloring are reproduced with new shaping. Reproduced with dominance characteristic beam / saber suspended state by new modeling. Reproduce the high power design. Based on the frame of Jim · Sniper Ⅱ, knee, ankle guard part, side thrusters are new parts. 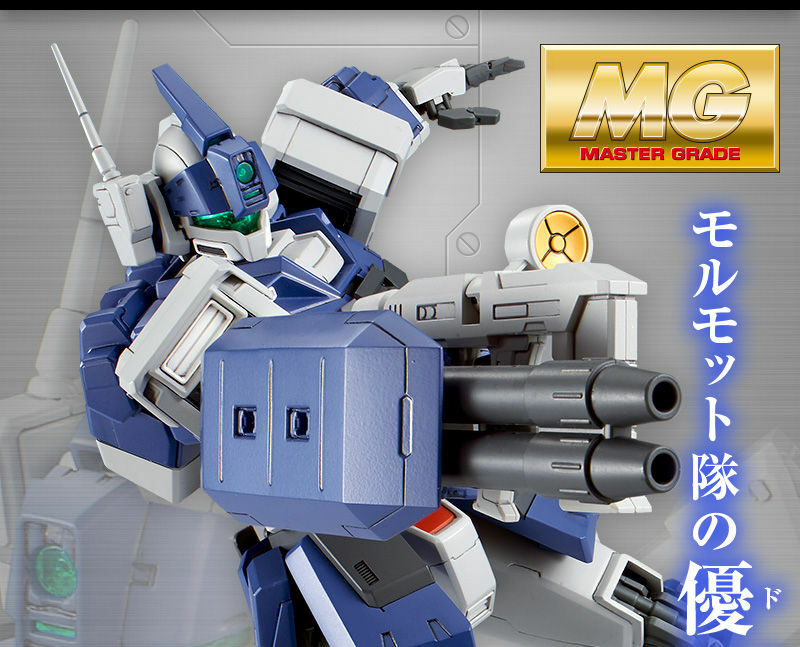 ● Dedicated armed double beam cannon is reproduced with new modeling! Box type beam saber is included. Two beam cannon can be equipped on the arm by recombination. 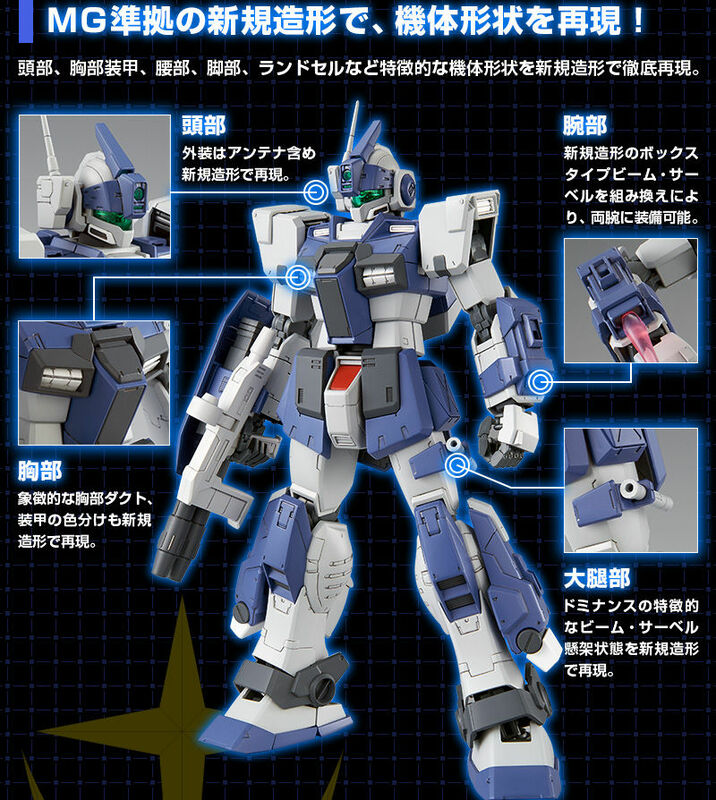 Box type Beam · saber can be equipped on both arms. - New design water transfer type decal included! 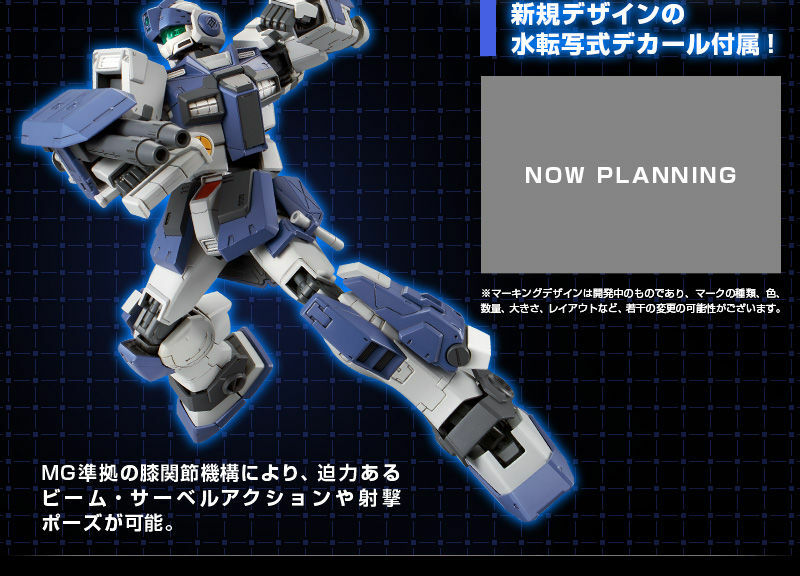 Powerful beam / saber action and shooting poses are possible. Yu Kajima, had a GM Command with a custom machine gun in the old story. New Manga threw that out for a high-spec GM. It took parts from the sniper MS series too make the parts for it. 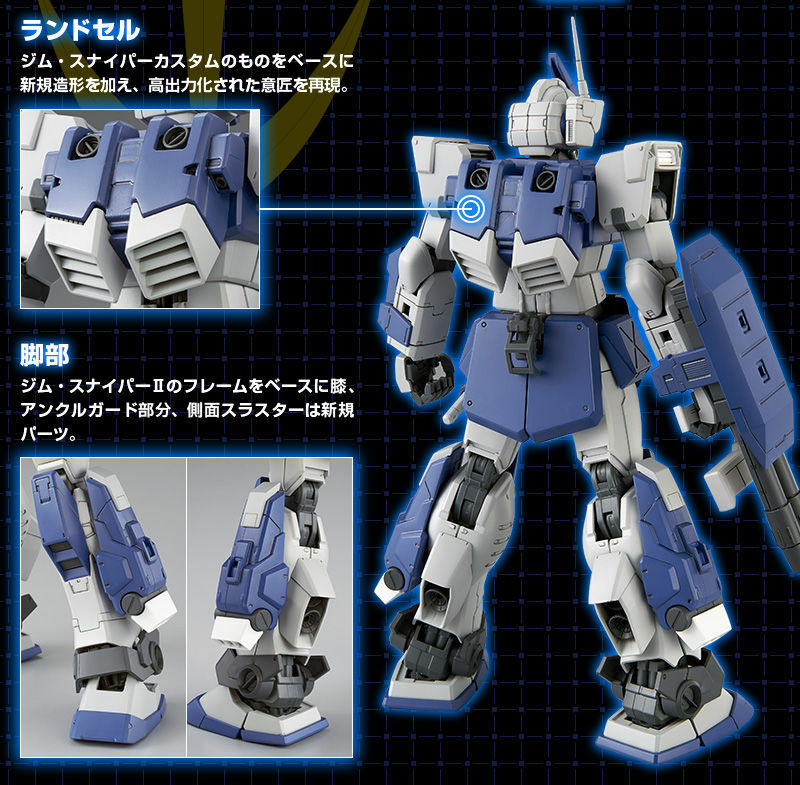 This was a good build, but Bandai needs to stop putting sellers in the P-Bandai releases. Is this all you have for the Efreet Bandai? Like where is a MG BD 1, 2, and 3?